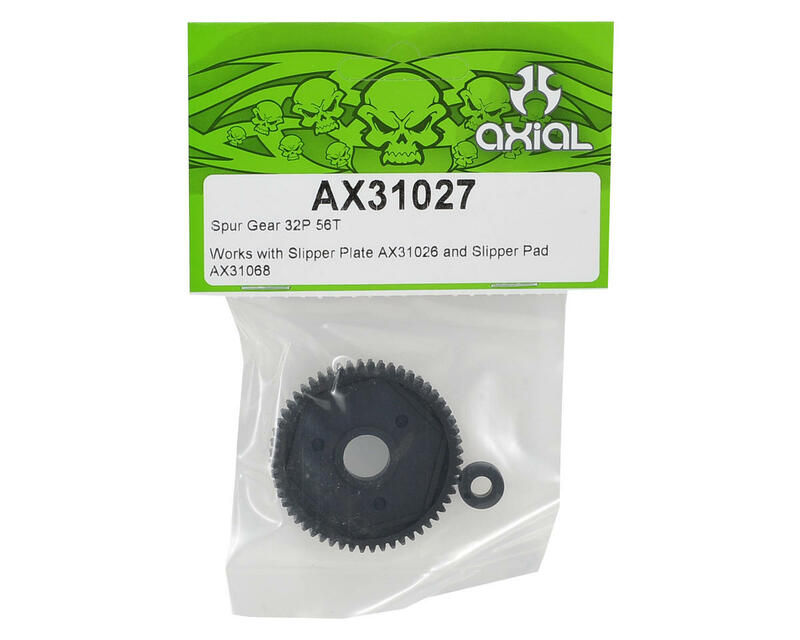 Axial 32 Pitch, 56 Tooth Spur Gear. 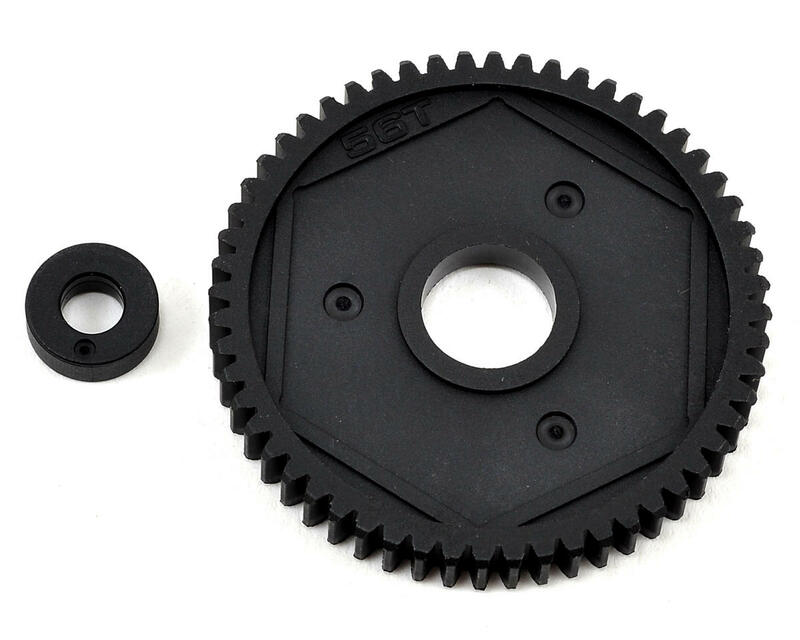 This plastic spur gear is a great upgrade for high horsepower applications. The larger teeth make 32 pitch gears more robust than standard 48 pitch gears for increased durability. This gear is also included as stock equipment on the Wraith Spawn trucks.